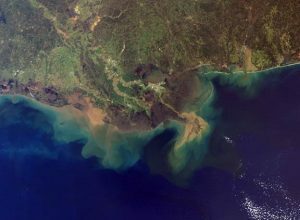 Is There Enough Sediment in the Mississippi River to Restore Louisiana’s Coast? The Mississippi River Delta is a dynamic landscape where water and wetlands are constantly shifting with natural patterns of erosion and growth. Because of this, there has never been enough sediment to sustain the entire delta at one time—there have always been areas that are actively growing and others disappearing. Recent decades have also seen the sediment supply of the Mississippi River cut in half by dams upriver. Still, the amount of available sediment is large enough to build and sustain wetlands in targeted areas of the coast. Will diversions introduce nutrients that harm wetland vegetation? Although nutrients introduced by diversions will have some impacts on vegetation, the cost of inaction is higher. Without large-scale restoration that provides a source of sediment and fresh water, the delta’s wetlands will continue to degrade into open water. Any negative effects of higher nutrient input are outweighed by the larger restoration benefits for the entire coast. How Will Sediment Diversions Impact Fisheries? The Louisiana coast is an incredibly productive ecosystem largely because of these extensive wetlands. Numerous species of fish, birds, and invertebrates use the coastal waters for a portion of their lives and some reside there for their entire lives. A group of scientists recently published a report that evaluated the most optimal operation strategies for various parameters. They concluded that there are certain times of the year when opening the diversion will cause the least harm to important commercial species. 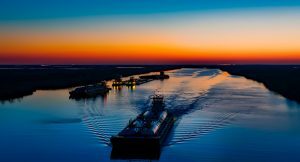 How Can We Create a Sustainable Future for South Louisiana, Navigation and Other Industries? Do Levees Alone Provide Enough Flood Protection? Levees can be wonderfully effective, but they need to be built correctly and can help protect coastal Louisiana as part of a Multiple Lines of Defense Strategy, which includes barrier islands, ridges, marsh, and land bridges. Levees alone are not sufficient to reduce flood risk from hurricane surge, but with a Multiple Lines of Defense approach, we can better ensure their success and sustain some measure of a functioning economy, culture and our beautiful wetlands for the coming decades. Some communities will be affected by salinity changes and a shift in coastal resources, but the larger threat lies in continued land loss. Without restoration, coastal residents will grow increasingly vulnerable to flooding and other disasters. Ultimately, the lack of restoration will force people from their homes. However, by coordinating restoration, mitigation and resiliency projects, we can provide the best possible outcomes for communities. What Does the Economy Stand to Lose If We Don’t Restore Louisiana’s Coast? 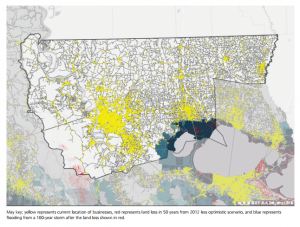 Louisiana residents are increasingly aware that coastal land loss presents an immediate economic and existential threat to coastal communities and the state – but fewer are familiar with the risks to the national economy. 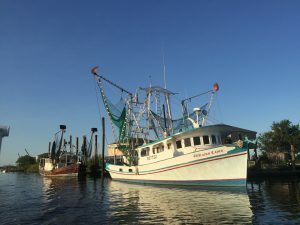 Oil and gas, seafood, navigation, recreational fisheries and wildlife tourism all depend on a healthy Gulf ecosystem and contribute billions of dollars and thousands of jobs. Here are some fo the key industries that would be put at risk if we do not restore the Louisiana coast. Over the next 50 years, without coastal restoration, as much as $3.6 billion in Louisiana business, residential and infrastructure assets could be at risk, with an additional $7.6 billion in business disruptions at the national level. Investing in coastal restoration not only reduces business risks of loss; it also provides a consistent flow of funding that supports economic growth and job creation. 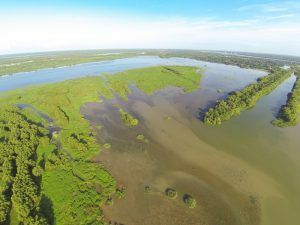 Can Louisiana Coastal Restoration Succeed in the Face of Increasing Climate Impacts and Energy Costs? Coastal Louisiana faces a triple threat from rising sea levels, increased storm intensity and growing energy costs. While these are not necessarily new issues, there are growing concerns over the seeming inevitability and full reality of the implications of these threats. 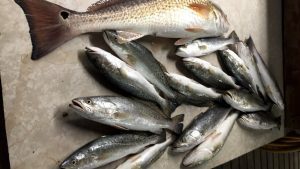 Without fast action, Louisiana will lose thousands of more acres of wetlands that provide critical habitat to wildlife and fisheries, as well as risk reduction benefits to coastal communities throughout the state. 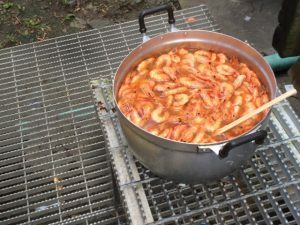 But with increased projections of sea level rise and new climate science that paints an even more dire picture for coastal Louisiana, some ask if there is still time to restore the coast and whether expensive restoration projects will be able to do just that. How Will a Sediment Diversion Affect the Coastal Environment? The Answer Lies in the Operations. Sediment diversions have long been proposed as an essential component in every major restoration plan in coastal Louisiana. 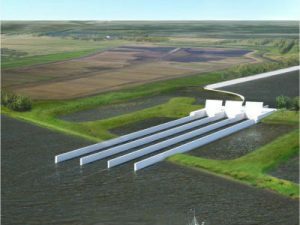 Sediment diversions are man-made structures built directly into the Mississippi River levee system with gates that can be opened and closed to allow sediment, fresh water and nutrients to nourish and revive the dying wetlands.